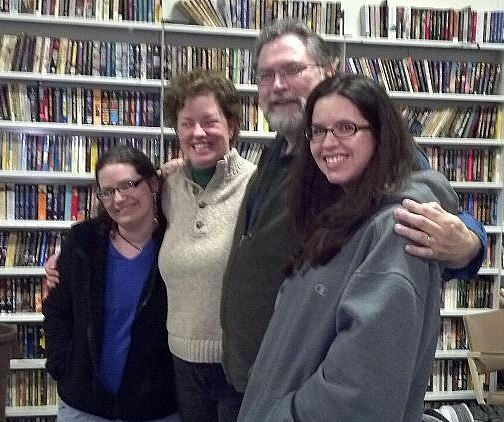 Yesterday I had the distinct privilege of meeting horror and thriller writer Jonathan Maberry. Two of my writing friends and I took a trip to Baltimore to attend a workshop he did at the Baltimore Science Fiction Society. The topic up for discussion was the full process of the story. For four hours a room full of writers were able to listen to his experience and pick his brain for information. We discussed the 3 act structure in detail, character development, character motivation, action scenes, researching, and how to promote yourself as a writer. I found some of the information already supported information I knew, but there was also a lot I did not know. I found Johnathan to be very engaging speaker. I would highly suggest all writers to take one of his workshop, if for no other reason, than to be entertained by his wonderful personal stories and how dedicated he is to his work. It’s truly inspirational! Also, if you are ever in the Baltimore area, check out the Baltimore Science Fiction Society’s digs. They have their own place to call home that includes a public lending library of books, manga, Asimov’s books, and much more!